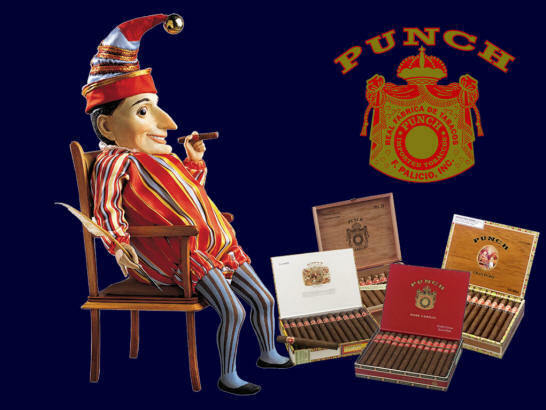 When you light up a Punch cigar, you're not only smoking a bold expression of the cigar maker's art, you're smoking history, for Punch is a legendary cigar with a rich history in Cuba as well as in England. Above all, this is the cigar with the taste that's true to its name. Punch Grand Cru is a smooth, mild- to medium-bodied cigar that rewards the experienced smoker with elegance. Just as a Punch Deluxe cigar can be compared to a hearty single-malt Scotch, a Punch Grand Cru can be likened to a fine liqueur. When you light up a Punch Gran Puro cigar, you're smoking one of the finest examples of the Honduran cigar maker's art... an all-Honduran Puro cigar developed to bring out the best of the round, spicy flavors for which Honduran-made cigars have become famous. The Punch Gran Puro stays true to the Punch tradition of rich taste that's true to its name.